We are so GRATEFUL! to be launching our 2014 growing season! 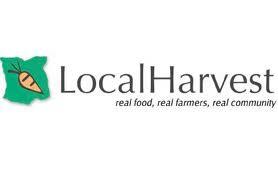 Please take a moment to review our business on Local Harvest, a trusted website listing farms like ours who provide non-GMO veggies and fruits and organically raised meat and much more! If you get a chance, please review our Local Harvest Listing to help get the word out across the state that we are in business!! Our best advertising is your experience. Honest. Personal. Hands on. We are so pleased to extend our outreach beyond our little Village. There are many ways you can get involved with the cooperative, so get signed up for one of our many community gardening efforts if you want to contribute to our community service in Ottawa, or come help us out on the farm or in the growing area starting seeds! ← Extra! Extra! Add-on some Produce!